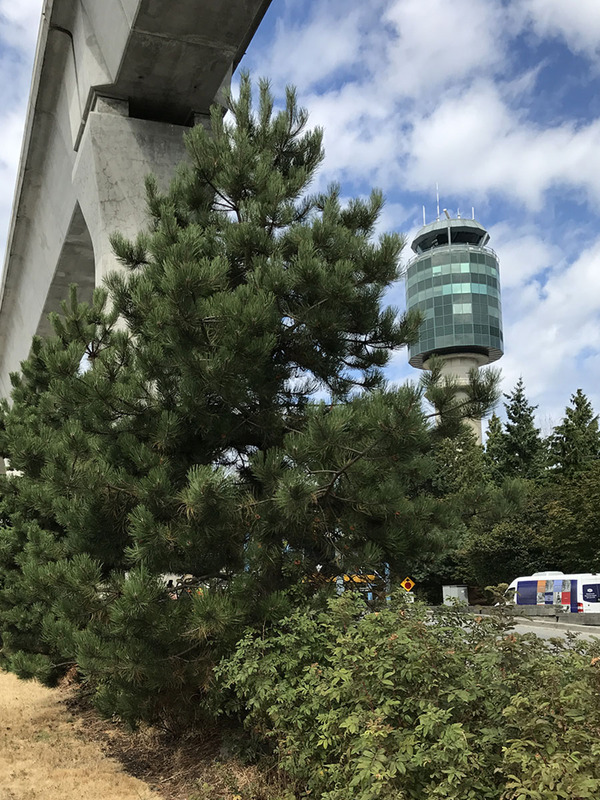 Connect Landscape Architecture is working together with YVR Airport Authority to relocate nearly 60 mature trees near the terminal to the recently opened South Templeton Lot. These trees would have otherwise been destroyed during YVR expansion works for the new CORE project which we are excited to be working on with Stantec and Francl Architect (more to follow in a subsequent post). 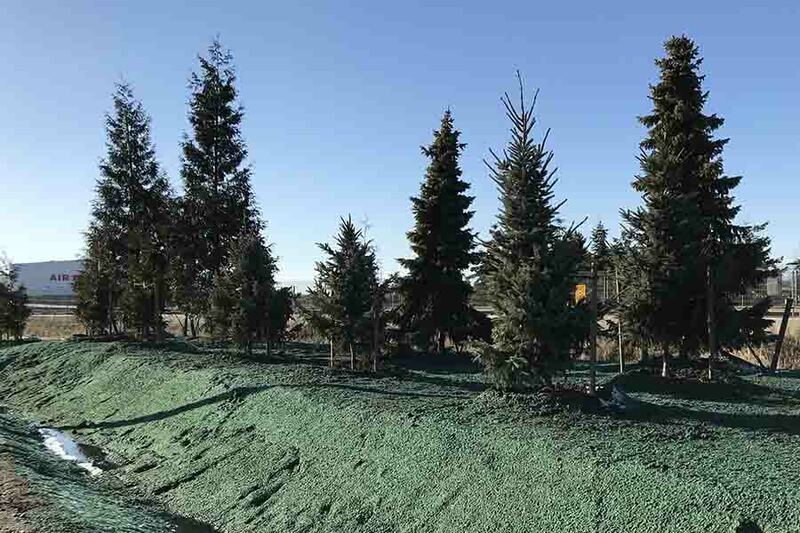 Native species including: Western Red Cedar, Douglas Fir, Vine Maple and one specimen Arbutus tree, ranging in size from 3-15m were selected. To provide structure and composition, trees were grouped on-site by type, form and height, to create natural arrangements and diversity. These trees provide significant benefits such as canopy, screening, shade, scale, colour and clean air to an otherwise open site. This 20 hectare parking lot is also unique in that it contains over 14,000m2 of water-filtering bioswales which accommodate up to 4500m3 of rainwater over a 24hr. period (equivalent to two Olympic sized swimming pools. A drought-tolerant landscape strategy eliminates irrigation, saving up to 17.6 million litres of water per year! Interpretive signage at the Templeton Station highlights how drought-tolerant grasses will go dormant and naturally brown in the summer months, raising awareness of regional water conservation efforts. YVR is to be commended for their commitment to sustainability and we are proud to continue our 30 year successful working relationship with the Airport Authority.